You Get the Best Carpet Cleaning Result Possible or it’s Free! Get the Best Quality Carpet Cleaning Results, with the Largest Superior Steam n Dry Truck Mount Equipment, and Cost-Effective Carpet Cleaning Auckland Service. 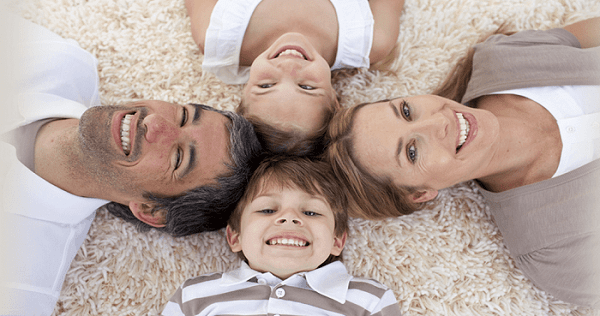 Family owned since 1987 good carpet cleaning reviews. For over 30 years we’ve been providing Auckland with a cleaner, healthier home, and offices in North Shore, West, East and South Auckland. Providing a premium carpet cleaning Auckland wide service. See our carpet cleaning special deals. Call 0800 783-266 or email. Due to popular demand, 18 carpet cleaning vans in Auckland. 30 years of expert carpet cleaners training. Our carpet cleaning extracts 99% of the dirt & germs, then 80C hot steam kills dust mites. Exhausts filtered germs outside. Our huge powerful vacuum carpet cleaning Auckland truck mount units removes 93% of the moisture from your carpet. All our staff is trained to the highest international standards IICRC, experienced, ASD certified, professional carpet cleaners. Providing quality upholstery clean, carpet repairs, drying carpets & carpet cleaning Aucckland since 1987. 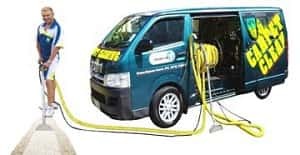 The only Auckland carpet cleaning service that uses large truck mount units capable of 26hg of vacuum power, 2000 PSI pressure, also, 84°C hot steam to safely remove more germs, allegens, dirt, stains, and moisture. Other companies cannot match this superior carpet cleaning Auckland service. Carpet Repairing before it gets more damaged or becomes a tripping hazard. Auckland Steam n Dry carpet repairs service does all types of carpeting lay, fix, repairs, and discount carpet cleaning Auckland combo deals.. North Shore, East, West, South Auckland City. areas. Auckland Steam n Dry decontamination clean-up team offer a cost-effective Auckland decontamination clean service. Best big truck mounts for professional meth P cleaning, mould removal, hoarding, odour control, biohazard cleanup service, and carpet cleaning Auckland. Safe upholstery cleaning for all types of fabrics, and dry in approx 1 hour with our steam clean extraction. Best upholstery cleaners for lounge suites seats, mattress, chairs, sofa car & couch cleaning. 25% off Furniture and carpet cleaning Auckland wide cheap combo deals. Professional pest control of, all types of pests, such as, flea control, cockroach, ant, fl, flea, rodent, spider, carpet beetle, dust mite, bed bug & wasps using, MAF approved products. Carpet cleaning Auckland combo deals. North Shore, South, East and West Auckland City service. Using large truck mount stain removal carpet cleaning Auckland units, also, expert carpet stain removal products. Auckland Steam n Dry carpet stain remover cleaners, therefore, remove approx 99% of carpets stain removal Auckland service. Fire and smoke can be more stressful if not handled by the fire and smoke cleaning experts. Auckland Steam n Dry soot, smoke clean up services. East, West, South Auckland City and North Shore. 24/7 fast service, also, professional carpet cleaning Auckland. Hard floor such as tile and grout needs more than just a weekly vacuum and mop. Auckland Steam n Dry tile cleaners, therefore, offer truck mount steam clean extraction for tile, grout, also upholstery & carpet cleaning Auckland combo deals. 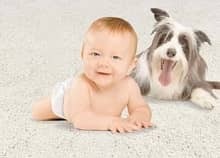 Auckland Steam n Dry have been providing professional carpet cleaning Auckland wide services, since, 1987 – for over 30 years, servicing: Auckland City. CBD, North Shore, East, West, and South Auckland. Most of our carpet cleaners in Aukland have over 20 years of experience with us.